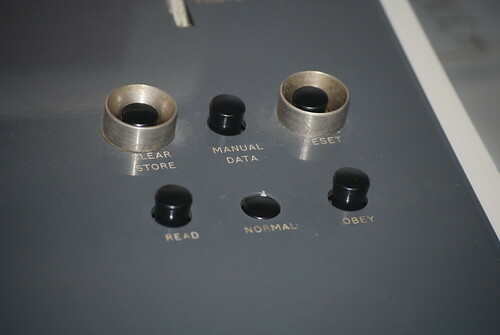 An "obey" button on an antique computer at the National Museum of Computing. I've just come back from giving an HCI lecture and so my first thought is what an excellent way of preventing accidental use of clear store and reset. Would you mind if I snaffle the photo for future lecturing use? Of course not - I use a Attribution-NonCommercial-NoDerivs Creative Commons licence for precisely that sort of thing!